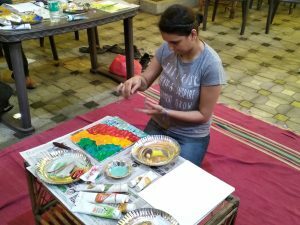 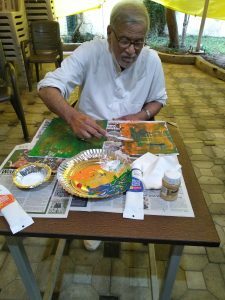 A knife painting workshop using artistic knives was conducted by Reena Surana. 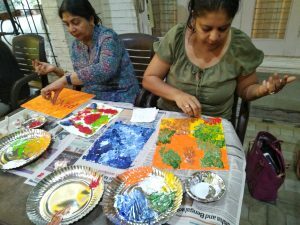 On a overcast Saturday afternoon, patrons walked in and soon enough, we had sold out. 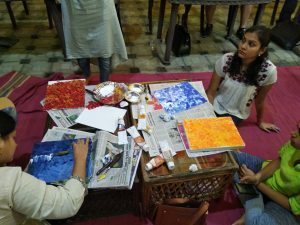 We would like to thank the participants who walked in after we had sold out for they waited patiently for us to procure the extra material. 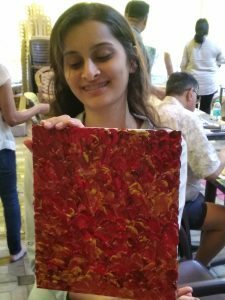 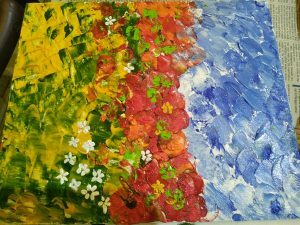 The participants finished their painting and had a canvas to take home with their beautiful creation on it!